And here we are again. Another year and another budget. But this one seems very peculiar and has a sense of trepidation and cautiousness about it. A lot of questions are behind that red briefcase and those questions seem to be at the very forefront of government. Is austerity over? Is everyone better off? Does this budget have the support of Tory backbenchers? Phillip Hammond was named Chancellor of the Exchequer in July 2016 and for the most part, has remained relatively under the radar, despite being the 2ndmost powerful person in government. Mr Hammond has been quiet, yet efficient in his role, far more so than those who have come before him. There seems to be somewhat of a divide on what type of chancellor Mr Hammond is. His predecessor, George Osbourne, was one to tell it like it is and didn’t shy away from saying there were hard times ahead. 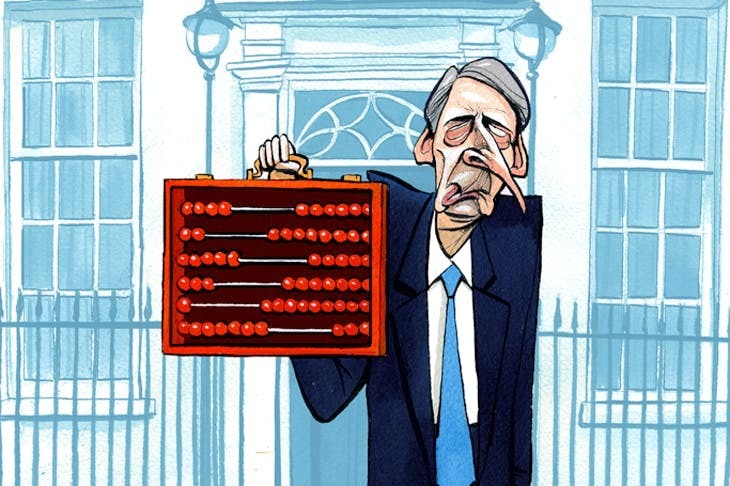 Mr Hammond is less frank and wanted this to be a more ‘feel good’ budget, showing austerity was coming to an end. At the Conservative Party conference in September/October, the Prime Minister proclaimed austerity is over, but today Mr Hammond said, ‘Austerity is coming to an end’. A clear contradiction between the PM and the Exchequer. But one thing they seem to be very clear on is that they want a deal between the EU and Britain, a stark contrast between them and their backbenchers. In the speech, Mr Hammond said, ‘when they get a deal’ and not if they get a deal. A clear show of confidence from the Chancellor, something that is evidently lacking from the British people and people across the political spectrum. There were some measures which should have brought some joy for local Councils, who have felt the blunt stiletto of austerity for 8 years. Firstly, the Government is lifting the borrowing cap on councils, to allow local Councils to build more homes and provide better services. Secondly, the Chancellor also announced that new partnerships will be formed with housing associations in England to deliver 13,000 new homes. To do this, Mr Hammond has put aside £653 million to nine housing associations, but has not indicated yet where the money will come from. A further £500 million to the housing infrastructure fund, to improve infrastructure for new homes. The above measures seem to be targeted at our nation’s capital, but how much of the funding London will receive is yet to be seen and how the money will be raised remains a mystery. Something that went relatively unnoticed in the budget was the changes in permitted development rights. The broad thrust of the reforms is to boost the building of new homes. The idea is to allow developers to build above existing buildings to provide additional homes and extensions. However, the proposals also include removing the right to install new public phone boxes and associated advertising consent. This is something the LGA and TFL have been lobbying for. To summarise, Hammond and May, not the Top Gear ones, have chosen a new approach to the budget. An approach which looks progressive and inclusive but tough times lie ahead for Mr Hammond. Many have commentated that the ‘feel-good budget’ was a pre-cursor to a general election, with Hammond and May anticipating their measures can and will obtain support from the working and middle classes. Can he maintain the support of his party? Can he deliver on his promises? Is austerity really over? It seems from the outside looking in, that this budget has raised more questions than it has answered.